﻿ OUR ACCREDITATIONS - Certyfikacja systemów zarządzania - PCC-Cert Sp. z o.o. Sp. K.
PCC-Cert – an accredited certification body operating in accordance with the highest standards. Our professionalism at PCC-Cert has been confirmed by an accreditation of the Polish Centre for Accreditation. Accreditation is the formal recognition by an independent body, known as an accreditation body, that a certification body operates according to international standards. 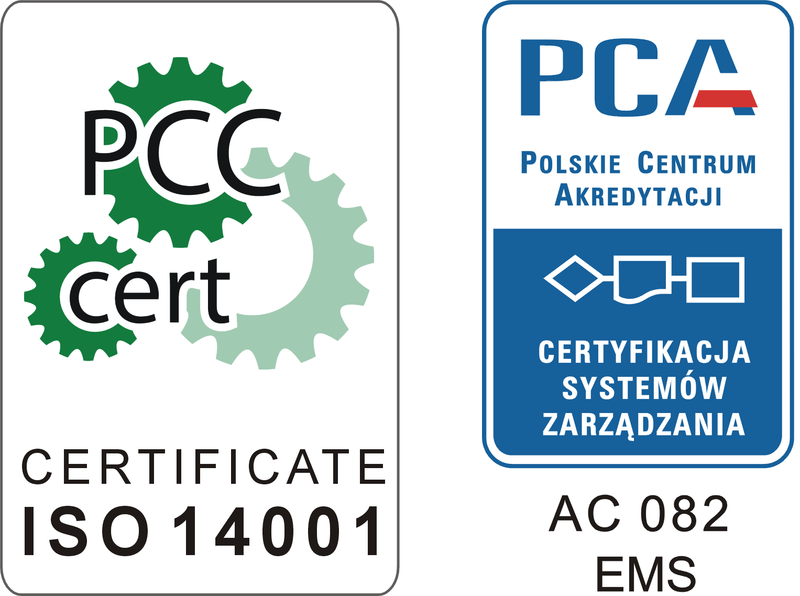 PCC-Cert had been accredited ever since the year 2001. PCC-Cert also possesses an ACCREDIA accreditation, relevant specifically for the Italian market, in the area of construction: EA 28.